Disclosure: This post is sponsored by Pepperidge Farm in conjunction with Blog Meets Brand and I have been compensated for my participation. All opinions are still my own. It’s that time of year where dishes start turning from heavy, comfort food to lighter options. You want to ditch the oven, and go for something lighter, but still satisfying. You also want to spend as little time as possible in the kitchen so you can take maximum advantage of the beautiful weather! 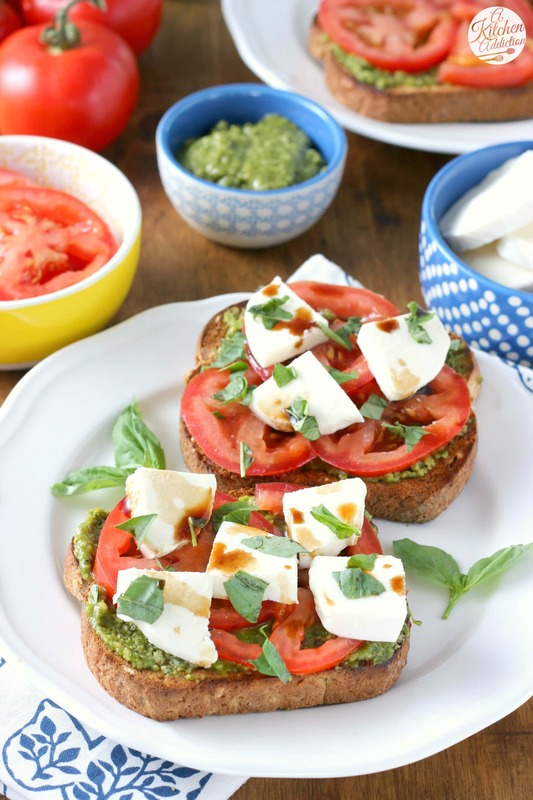 This pesto caprese toast is the answer. Light and satisfying (and almost no time spent in the kitchen!)! The base of this toast is a slice of Pepperidge Farm® Harvest Blends bread (which you can find at your local Midwest grocer! ), specifically, their new Seeded Grain variety. I love the nutty, hearty flavor of this bread along with the bit of a crunch from the seeds. 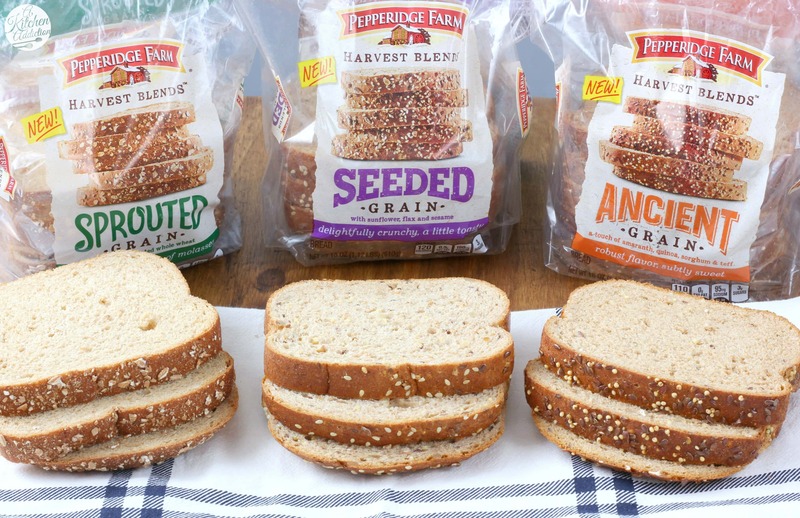 If you’re more of a fan of a smoother texture, you should give their Sprouted Grains variety a try. My husband isn’t a fan of “crunch” in his bread, and he thought that the sprouted bread was just right! 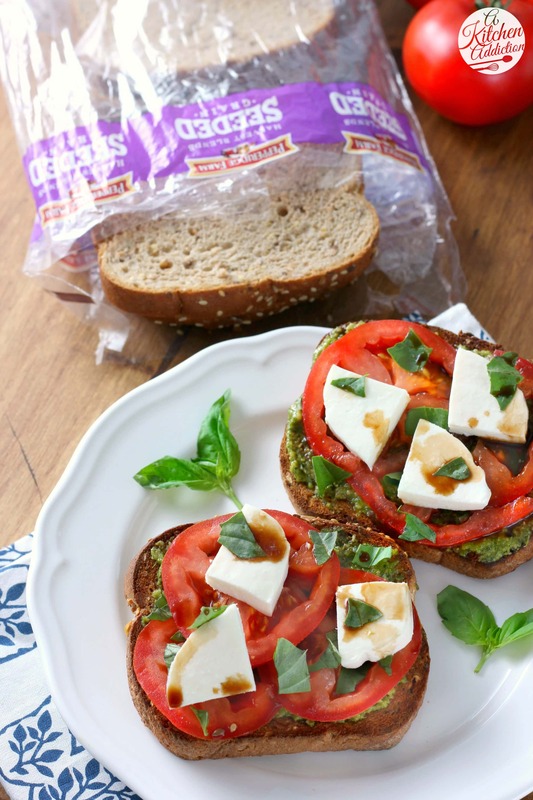 Fresh tomatoes, basil, and mozzarella give you that light, summery combination while still being satisfying. Plus, it’s super simple. Only six ingredients! And all you need is a toaster! Toast bread to preferred darkness. Spread with pesto, about 2 teaspoons per slice. Top with sliced tomatoes and fresh mozzarella. Sprinkle with torn basil. Drizzle with balsamic vinegar. Serve. This is a perfect light lunch! Delicious! I have everything I need to eat these delicious toasts! Pesto and caprese are both my favorite, and the beautiful heirloom tomato I have will be perfect on here. Yum! What a great idea! I love the thought of having this for lunch, especially with homegrown tomatoes! Oh my goodness. I dont even like raw tomatoes, but these look seriously delicious! The pesto, mozzarella and basil – mmmm!! Sandwiches and salads are definitely back in full force in my kitchen already! 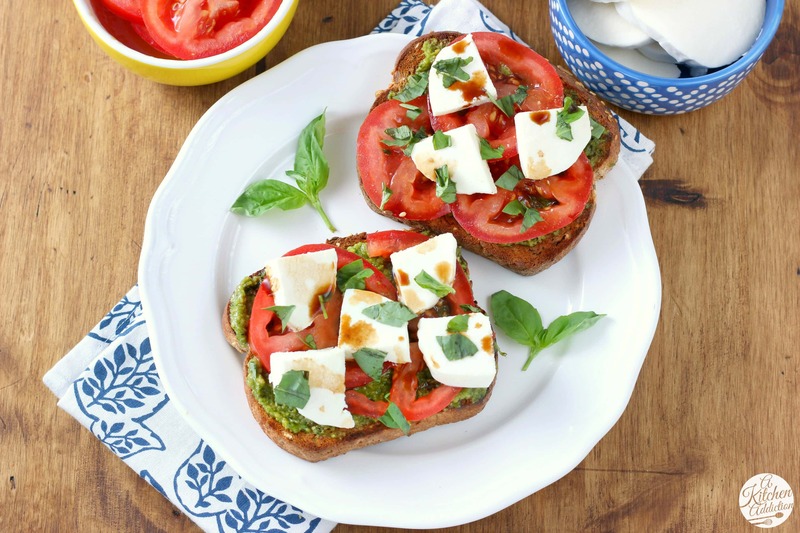 This caprese toast sounds awesome!! This bread looks so delicious! 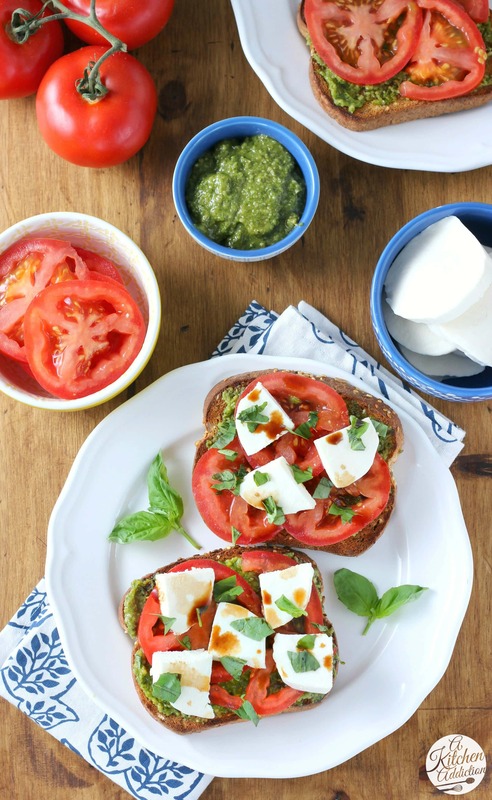 Love the idea of adding pesto and mozzerella, delicious! What a light and fresh summer meal! Delicious! I LOVE CAPRESE! always. This toast is brilliant!